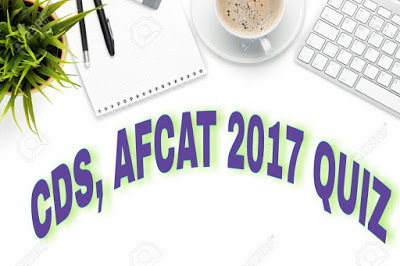 Hello candidates, looking for CDS, AFCAT 2017: Error Detection Quiz .Hope you would have start preparing for the upcoming exams. So our team would be helping you out by taking small quiz tests for you so that you indirectly get prepared for the exams in easy way. Go through the complete article we have given you the various subjects quiz which are asked in the exams which will help you for your exams. Hope you will ask our this pattern for the aspirants preparing for the exams. We would be keep updating questions on various topics. Feel free to share your views in below comments. Directions (Q.1-5): In the following questions, some parts of the sentences have error and some are correct. Find out which part of a sentence has an error corresponding to the appropriate letter (a, b, c). If a sentence is free from error, then your answer is (d). Directions (Q. 6-10): In the following questions, sentences given with blanks to be filled in with an appropriate word(s). Four alternatives are suggested for each question. Choose the correct alternative out of the four. 6. A group of agitator………… the mob to break down the Vice-Chancellor’s door. 7. Turn the lights ………… before you go to bed. 8. There is no ………… evidence to support your assertion. 9. Throw a stone………… the fierce dog. 10. Is not learning superior ………… wealth?